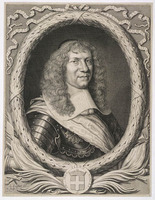 RÉMY DE COURCELLE (Courcelles), DANIEL DE, Sieur de Montigny, de La Fresnaye et de Courcelle, seigneur de Rouvray et Du Bourg; b. 1626, son of Adrien de Rémy de Montigny and of Eslami de Nolant; d. 24 Oct. 1698 and was buried two days later at Toulon, France. 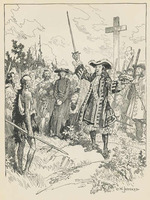 Courcelle succeeded Saffray de Mézy as governor of New France in 1665 and, along with Prouville de Tracy, was instrumental in subduing the Iroquois who had periodically ravaged the colony since the days of Champlain. 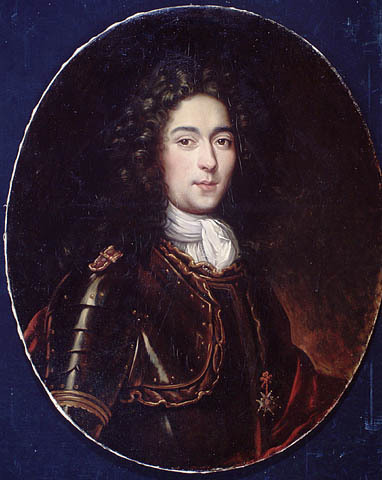 Prior to his appointment as governor-general of New France on 23 March 1665, he was governor of Thionville in Lorraine. He arrived at Quebec with the intendant, Jean Talon, on 12 September. 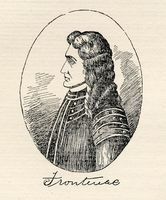 Tracy, the lieutenant-general of all the French possessions in North America, had arrived the previous June along with the Carignan-Salières regiment, sent to crush the Iroquois. As soon as he landed, Courcelle, “breathing nothing but war,” concerned himself with the construction and garrisoning of the forts that Tracy had ordered built along the Richelieu River, the invasion route used by the Mohawks in their attacks on the French settlements. At this time the Iroquois Confederacy was being hard pressed by its indigenous foes and its ranks had been reduced by an epidemic of smallpox. When the member nations learned that the French had received heavy reinforcements of troops and settlers, their chiefs were quick to sound out the French missionaries on the possibilities of a peace settlement. Tracy, Courcelle, and Talon were convinced, however, that only after the Iroquois had been soundly defeated in battle would there be any hope of an enduring peace. They therefore decided to invade the Mohawk country in mid-winter, when the enemy would least expect it. On 9 January 1666, Courcelle left Quebec at the head of 600 men. By the time they reached the forts on the Richelieu River, several of the men had had their limbs and faces badly frozen. A party of Algonkins was expected to guide the army but it failed to appear, and on 29 January Courcelle gave the order to march without them. The men, carrying their arms and supplies on their backs and unaccustomed to marching on snow-shoes in deep snow, were quickly exhausted. The intense cold made their ordeal all the worse. Owing to the lack of guides, they followed many false trails and frequently had to retrace their path. On 15 February, hardly knowing where they were headed, they found themselves close to the Dutch settlement of Schenectady, three days’ march from the Mohawk villages. The only Mohawks they had so far encountered had ambushed the detachment sent in their pursuit, killing an officer and ten men. When the officials at Albany learned that a large French force was in the vicinity, they sent a delegation to inquire why the French had marched an army into the territory of the king of England without first informing the governor of New York province. (It was perhaps just as well for all concerned that neither Courcelle nor the authorities at Albany knew that England and France had been at war for the past fortnight.) Courcelle, in fact, was surprised to learn that the English had gained title to New Amsterdam (now New York) from the Dutch, and he ruefully commented “that the King of England did graspe at all America.” He assured the delegates from Albany that he had no intention of molesting His Britannic Majesty’s subjects, nor would he invade his territory. He arranged to purchase food supplies from Schenectady, but when he and his men were invited to avail themselves of the shelter of that village, he declined the offer, fearing that if his men once got near a chimney corner it would be difficult to get them away again. Seven of his wounded were taken to Albany, where they were well cared for by the Dutch settlers. When a sudden thaw set in and it began to rain heavily, Courcelle was forced to abandon the campaign. 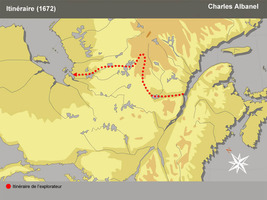 On 21 February they began the long march home, pursued by Mohawk war parties. More than 60 men, weakened by exposure and hunger, perished during the return journey. This campaign had come dangerously close to being a total disaster. 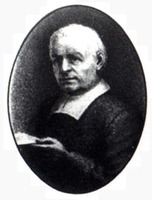 Courcelle tried to blame the Jesuits for its sorry outcome, claiming it to be their fault that the Algonkin guides had not joined the expedition. Deprived of their guides, they had failed to reach the Mohawk villages. The Marquis de Salières [Chastelard], colonel of the Carignan-Salières regiment, with whom Courcelle had quarrelled earlier, placed the blame squarely on Courcelle’s shoulders, maintaining that the governor had failed to provide his men with adequate equipment and winter clothing for such an expedition. Wherever the blame might lie, the expedition had failed in its purpose. The Mohawks now saw little cause to fear the French, and another campaign was essential to restore French prestige and to halt the Iroquois attacks on the colony. In late September 1666 Tracy and Courcelle, at the head of 1,400 men and accompanied by 100 Hurons and Algonkins, left Fort Sainte-Anne at the foot of Lake Champlain and invaded the Mohawk country. The Mohawks fled before this army, the largest ever seen in that part of the world, which advanced steadily with banners flying and drums beating. The four villages of the Mohawks were put to the torch and all the food supplies destroyed. A large cross and a post bearing the arms of France were planted on the site of the principal village. The lands of the Mohawks were then claimed for Louis XIV by right of conquest, and the army returned home. The Iroquois now accepted the French terms for peace, and this time they abided by them. It was clear, however, that they could be kept at peace only as long as the French could keep them “in a state of fear.” To maintain this peace was to be Courcelle’s principal task during the ensuing six years. Meanwhile, on 6 Dec. 1666, Courcelle, Talon, and Tracy reconstituted the Conseil Souverain. Prior to this the intendant Talon had dispensed justice by himself. With the rapid increase in population, the number of cases coming before the Conseil Souverain increased considerably. In August 1667, in an attempt to expedite matters, the council agreed that all litigation should be examined first by Talon and allocated, as he saw fit, to the Conseil Souverain, to the Cour de Prévôté, or be retained by himself for summary judgement. Courcelle refused to agree to this edict on the grounds that it ran counter to the authority vested in him as governor and was not in the public interest. The following January he again refused to agree to this proposal. He was apparently of the opinion that it was he, as governor, and not the intendant, who should hold the reins of power in the colony. He was always on good terms with the lieutenant-general, but Tracy left the colony in August 1667, and from that date Courcelle’s relations with Talon and with Bouteroue, who replaced Talon as intendant for two years, grew steadily worse. In 1669 Colbert curtly informed him that a man in his position had to be tolerant of the faults of others and to make the best possible use of their good qualities in order that the king’s intentions for the colony might be carried out. 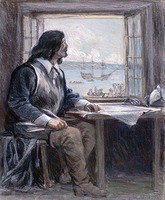 In 1670, when Talon returned to New France, his relations with Courcelle became very strained. In November of that year Talon informed Colbert that the governor appeared very jealous of the influence he, Talon, had with the minister, and he became very annoyed whenever Talon failed to agree with him. The following year Talon complained that Courcelle treated him as his inferior, almost as a valet, and did much to hinder his plans for the colony. Unfortunately, Courcelle’s correspondence has not survived, and Talon’s dispatches to the minister give, of course, only his side of the dispute. The following year the governor had a large flat boat built at Montreal, capable of transporting heavier supplies than canoes could carry, mustered 56 volunteers, and on 2 June set off up the turbulent rapids of the St. Lawrence to show the western Iroquois that their country was not beyond his reach. Ten days later his force reached Lake Ontario, to the great consternation of the Iroquois hunting parties encountered on the way. Courcelle informed them that if they wished to continue warring with the Algonkins and to extend the war to the French, as some of them had threatened, they were completely at liberty to do so; but if they did, he added, he would bring an army to Lake Ontario in large boats and destroy them. The Iroquois were so impressed by Courcelle’s audacious move that they ceased all talk of war and made their peace with the Algonkins. While at Lake Ontario, Courcelle explored the eastern end of the lake for a suitable site to build a fort and trading-post to obtain from the Iroquois the pelts they garnered on the north side of the lake and which they traded with the Dutch at Albany. He suggested establishing a fort near the mouth of Lake Ontario, but Colbert rejected the suggestion. Talon also suggested establishing two trading-posts on Lake Ontario, one on the north shore and one on the south. Although Courcelle had wanted a military fort, his successor, Buade de Frontenac, two years later, established a trading post at the mouth of the Cataracoui River – where the city of Kingston would be built. When Louis XIV was eventually shown a map of the area, he expressed amazement that anyone should locate a “fort” at the place chosen by Frontenac since, from a military point of view, the obvious site was a point commanding the St. Lawrence. Courcelle was also very disturbed over attempts made by the Ottawa nation, the chief suppliers of furs to the French, to trade with the Dutch and English either directly at Albany or through the Iroquois acting as middlemen. 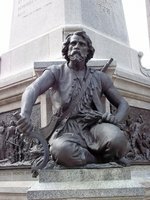 He successfully sowed suspicion in the minds of both the Iroquois and the Ottawas, saying that each nation intended to use this trade as a means to lure the other into a trap and there to destroy it. In this way he safeguarded the western fur trade for the French. The exploration of the west by Cavelier de La Salle, Daumont de Saint-Lusson, Jean Peré*, Jolliet, Dollier* de Casson and Bréhant de Galinée was actively encouraged by Courcelle. Vast areas, previously unknown, were now claimed for France and trading relations established with the indigenous nations of these regions. It was also under Courcelle, acting on the orders of Louis XIV, that militia units were formed in New France and able-bodied men from 16 to 60 drilled in the use of arms. It was this militia that was to bear the brunt of the fighting in the colony’s future wars. By 1671 Courcelle was anxious to return to France and, pleading ill-health, he asked to be recalled. The following year his request was granted. 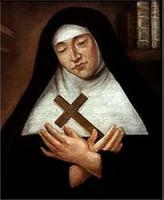 One of his last acts in the colony was to make a bequest of 1,000 livres to Dollier de Casson, superior at the seminary in Montreal, in favour of a six-year-old Iroquois girl whom he had adopted and placed in the care of the Sœurs de la Congrégation. In late November 1672 he sailed for France, where he was appointed commander of the citadel at Arras. 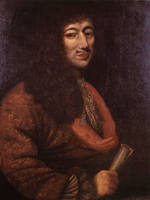 On 19 Jan. 1675 in Paris he signed a marriage contract with Marie-Anne Dabancourt; the couple had at least two sons. 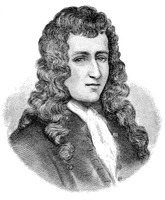 Courcelle is reported to have been governor of Toulon at the time of his death on 24 Oct. 1698. As governor of New France, Courcelle’s relations with certain of his subordinates may have left something to be desired, but had his correspondence survived, it might indicate that they were as much at fault as he. Certainly the administration of the colony was not disrupted by these disputes, as was the case under both his predecessor and his successor in office. As a military commander, his winter expedition against the Mohawks added little to his reputation, but it was the first such campaign ever waged by the French, and they learned much from it. His most notable achievement, and one that does him great credit, was his curbing of the attacks made by the Iroquois on the indigenous allies of the French. He deterred them from attacking the French settlements, and he accomplished his aim without the shedding of blood. When he returned to France, he left the colony at peace, with the prestige of the French, in the eyes of both their indigenous allies and the Iroquois, considerably enhanced. As mentioned in the above article, the correspondence of Courcelle has not survived. 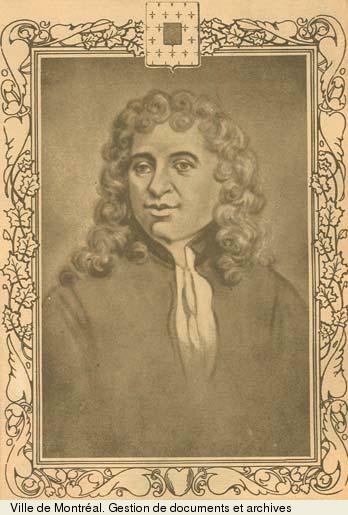 “Sur le voyage de Monsieur de Courcelles gouverneur et lieutenant general pour le Roy en la Nouvelle France en l’année 1666,” a satirical poem regarding his first expedition to the Mohawk country, which went the rounds of New France, may be found in BRH, XXXIII (1927), 264–82. NYCD (O’Callaghan and Fernow), III, passim. PRO, CSP, Col., 1661–68, 349, 392–93, 404, 438–41, 462–63, 470–71. Chapais, Talon. Faillon, Histoire de la colonie française, III. Francis Parkman, The old régime (25th ed. ), 176, 186–90. Arch. Départementales, Var (Draguignan, France), “Reg. de l’état civil,” Toulon, paroisse Sainte-Marie, 24 oct. 1680, 18 avril 1682, 26 oct. 1698: archives.var.fr/article.php?larub=97 (consulted 2 May 2018). Arch. Nationales (Paris, Fontainebleau et Pierrefitte-sur-Seine), MC/ET/LXXXIII/156, 19 janv. 1675. 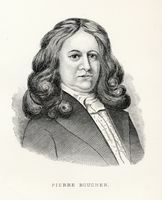 W. J. Eccles, “RÉMY DE COURCELLE (Courcelles), DANIEL DE,” in Dictionary of Canadian Biography, vol. 1, University of Toronto/Université Laval, 2003–, accessed April 22, 2019, http://www.biographi.ca/en/bio/remy_de_courcelle_daniel_de_1E.html.